Are Pigeons Causing Your Garden A Problem? 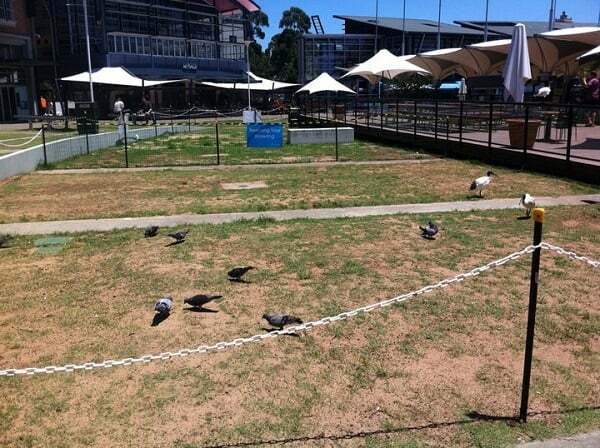 Pigeons are a pest that can harm your garden. Aside from crows, ducks, mynas and sparrows, pigeons are the ones that can destroy and ruin full crops and growing crops. Pigeons are useful to some people, in the past as they are used to send messages by tying the letters on their feet and sending them to the receiver. This actually saved quite a lot of lives during the world wars, but today pigeons are typically known as messy birds who loiter around public transport and peoples gardens. However, pigeons are generally unwanted by many people these days. The noise and dirt that the pigeons bring make them unwanted by most people from different parts of the world. The best way to shoo away pigeons in a good way is through the use of pigeons scarers. These days, frequent use of scarecrows and pigeons scarers is very essential if a person wants to shoo away pests like crows and pigeons. Pigeon scarers are the best solution if you want to get rid of pigeons in your gardens or fields. Pigeon scarers need to act as humanly as possible. They need to scare away pigeons for them to be called pigeon scarers. Thus, pigeon scarers that cannot shoo off pigeons are not called scarers at all. If you want to have an effective pigeon scarer, you need to go for high quality features and not just get one as it is offered at a cheap cost. One of the best pigeon scarers is the pigeon scaring kite. It can prevent the pigeons from roaming around your fields and gardens. Thus, pigeon scarers can sufficiently and effectively reduce the chances of destroying and ruining the crops in the fields and the seedlings in the garden. Pigeon scarers like kites are effective and flexible as well as can withstand all weather conditions, so they can be used for a long time. They can also reduce any chances of having ruined crops in your fields. Most people today use pigeon scarers like kites for them to spend more of their time on useful things. They will not anymore need to supervise their crops because the pigeon scarers will do the job for them. The installation process of these pigeon scarers is very easy and quick. Pigeon scarers support all farmers in growing their crops and other farming products properly. Even if pigeons are unwanted, dirty and noisy, people must need to learn that they are also part of this world. Proper techniques and methods should be used in shooing away pigeons in fields and gardens. The benefits and effective results that the pigeon scarers provide to all farmers and crop growers are essential and extremely reliable in order for them to get rid of pigeons and other wild pests. Pigeon scarers are one of the best solutions of getting rid of any crop destroyers in your fields and gardens. Just make sure that the pigeon scarer you will use is effective. As mentioned, looking at the features is necessary. This way, you can make sure that the pigeon scarer you will get is worth of your investment. To see some items that scare away birds, click on the ‘reviews’ menu.